Kundalini Shaktipat Kundalini Shaktipat : Why you dont want to awaken your Kundalini now? Why you dont want to awaken your Kundalini now? I am passionate about kundalini and always sing its praises to almost everyone I meet. And also try to coax them to begin their kundalini awakening journey. If you meet me and if I tell you the same there are several things you might think. First thing you might think, if you dont want to awaken your kundalini energy. It is, you’ll feel I may be telling you this as I want to earn some money through your payment. Which doubt I may remove by saying, you can go just anywhere to awaken your kundalini- including to Guru’s who do it for free. And then the next set of things I may hear is, Ohh no no, I am not yet ready to awaken my kundalini now etc etc. This is the same story with many people. They say they are not too much into spirituality, they are not much interested going on higher level now; maybe they might do it later in their lives. And all such sorts of different things I hear, when people like you and me are confronted with this question. Actually I also was one of them, I too didnt want to get much deep into this just because I felt that I want to stay rooted into materialistic world and not get ‘too’ spiritual. These are the several ways by which we create excuses for not going for kundalini awakening. But I would like to share today the genuine reason why you don’t want to get into kundalini awakening. What happens during complete kundalini awakening? During the kundalini awakening the chakras are opened one by one, and when all the seven chakras are opened by the divine kundalini its said to be a full and complete awakening of kundalini. This is the actual state which is the initial goal to awaken kundalini. The first five chakras are associated with 5 elements each, of which this planet is comprised. And when these chakras are opened by kundalini that element is mastered by you. And you will never fall a prey to that element’s ill’s again. Though it stays permanently that way only after full awakening, yet initial chakras opening also help with things. After the first five chakras are crossed, you are the master of all the 5 elements and you cannot be hurt by them. The sixth chakra when crossed will also eradicate your ego and seventh chakra opening will connect you to the universal ego, or the ego of the divine. Which can be termed as the ideal ego that everybody should have. So who actually creates problems in your kundalini awakening journey? Your biggest enemy, in your kundalini awakening journey is your own ego. As soon as you read this you might develop a bit of bitterness, as you might get this prompt thought that ‘you dont have ego problem’. But that thought itself is driven by your ego. What is ego? And why is it not bad? Ego is the entity inside everyone that exists(except siddha yogi’s). Every human has an ego. And ego is not bad. Ego is actually meant for your good. Ego is given to you for your own existence, so that it can be safe and peaceful. Ego is the entity that connects you to your body. Otherwise the soul is very much unconditional & non-judgemental that it will not protect your body against crooks and rogues. Soul is forever at peace and happy. And being born as a human where you are not having any extra powers and few bad karmas to pay off; having an attitude like that will just make your existence in danger. Ego is the entity that connects the soul to the body and always pops critical questions before you decide anything. So why does this ego hinder your kundalini awakening journey? The kundalini awakening journey is itself a big threat for the ego. And the ego frets it. As the kundalini awakening will eradicate the ego itself. When things are good its okay but during stressful circumstances the ego itself becomes your biggest enemy. The ego is the one that will make you feel that you are superior then everybody else on this planet and its the same thing that will make you feel that you are worthless and foolish. The chattering that you always keep hearing in your mind is not yours, you are always at peace; its your ego that keeps on chattering. 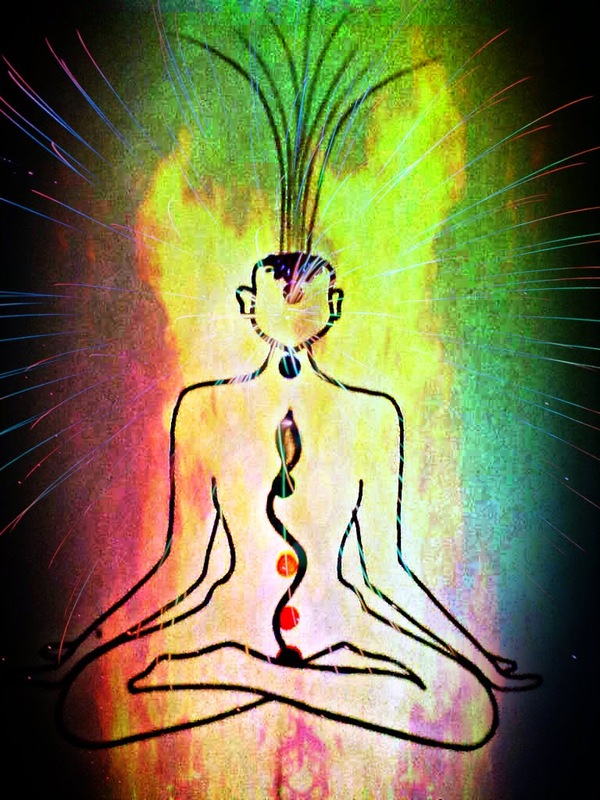 The awakening of kundalini in lower chakras is not a big deal, but many are there who tell me I dont want to go to higher chakras as its not where I want to go. Here ego is the only reason that stops them. As ego dies after the 7th chakra will be opened. So what to do, whether to decide to go for kundalini awakening journey or not? Kundalini awakening journey and the full and complete awakening is going to become a must for everyone. As the future where this world is taking us is going to be more and more hectic, energy draining and competitive. You can exist peacefully and as well as be successful at whatever you do only when you have your kundalini awakened. As otherwise its almost impossible to tackle the stress issues at one hand and get everything that you want in your life in other hand. And telling you a small secret, your ego is the big devil that comes in the way of you and your success most of the times. As it will always give you negative thoughts when you try to do something out of the box. Also you might have been aware of kundalini awakening dangers that might also make you feel fearful of awakening your kundalini. Read more about Kundalini dangers here. So the best decision you can take by reading this post is that “you are ready for the full awakening”. Getting fully awakened by kundalini is not going to change you or make you into an ascetic. Yes you will become more saintlike from within. Its not going to take away pleasures of materialistic world, its just going to double or quadruple them. Its not going to take you away from your loved ones, its going to actually make you love more deeply and truly. You will be a much better citizen of this world when you are awakened, then what you are right now. You will be enjoying best of health, best of emotional health, mental health; best success at whatever you do, earning more money then you ever had imagined(only if you want to), having successful relationships, and a master at spirituality. And best of all you will never ever do a wrong thing which will make you regret in future. As you will be guided by the divine ego. Did you like this post? What do you now feel about kundalini awakening? Do share in comments below!